An unemployed man in Edo State man has cried out for help after his wife gave birth to a set of quintuplets. Imudia Uduehi and his wife Oluwakemi Funmilayo Aminu have called out to well meaning Nigerians for support after they were blessed with a set of quintuplets less than a year after their wedding. 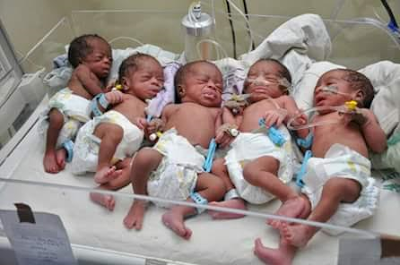 The five babies, all girls were born on April 12 at the National Hospital Abuja. However, the couple has pointed out that though they are over joyed to have the children, they will require the support of well meaning Nigerians to make the whole experience successful. 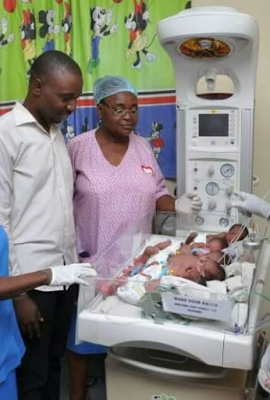 “I am delighted and I thank God to have blessed us with these healthy children, I know it is a huge responsibility because it is not easy to raise even one child,” Udehi told reporters. His wife, a staff of National Population Commission Abuja added that the family, currently residing in a one-bedroom-apartment, will definitely need a bigger apartment and money to meet the needs of the newborns. 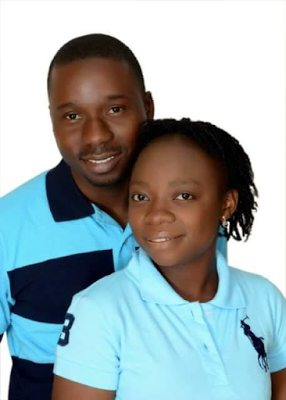 “My husband is presently searching for a job and I am a civil servant with National Population Commission in Abuja. We both live in one bedroom apartment in Lugbe because that is what we can afford,” she said.